Once in a while, I’ll set up a still life and photograph it. But mostly I shoot what I find while doing something else, like walking the dog, or eating in a restaurant (a good reason to have a camera with you). I really liked the juxtaposition of the yellow with the black-and-white checkerboard, and the light was hitting the lemon slices just right. This was shot with my iPhone. 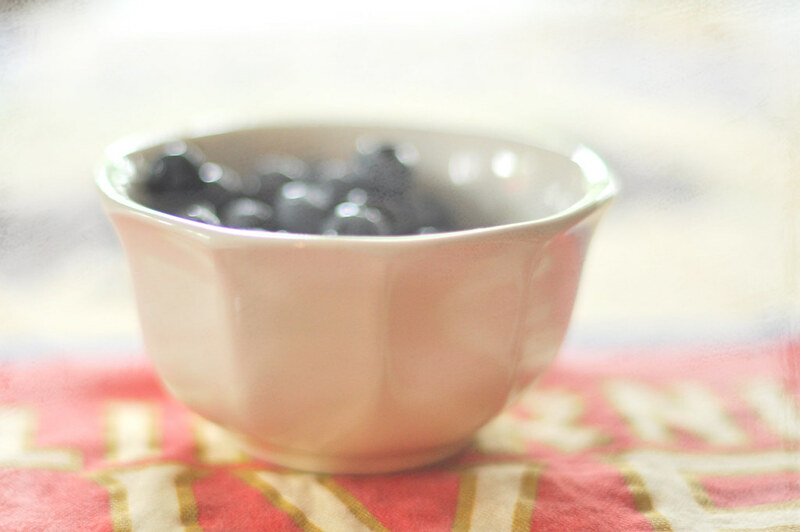 Then one morning, I put some blueberries in a bowl for breakfast, grabbed a linen dishtowel to wipe the bowl and thought it might look nice as a backdrop. Light was streaming in from the kitchen windows, creating tiny bokeh on the berries…. I added a bit of texture just for fun. This quote kind of sums it for me…. This entry was posted in photography and tagged black-and-white checkered bowl, blueberries, bokeh, iPhone, Italian dishtowel, lemon slices, texture. Bookmark the permalink. Two very different photos. The first looks so fresh and the second mellow. 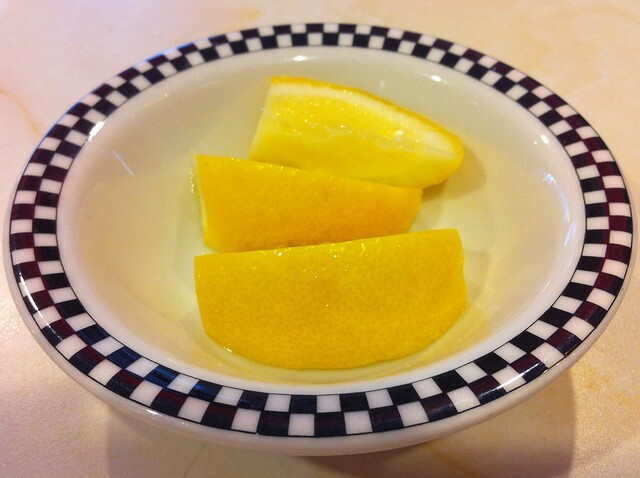 I like that they didn’t just serve the lemons in a white dish, very Art Nouveau sort of. And your blueberry shot is nice as well, almost like a painting. Thanks, Caroline. I really like that dish too. They also have wonderful Coke glasses at this particular diner. Great quote! Love the lemons and the bowl. Yup. Great quote – great photos.